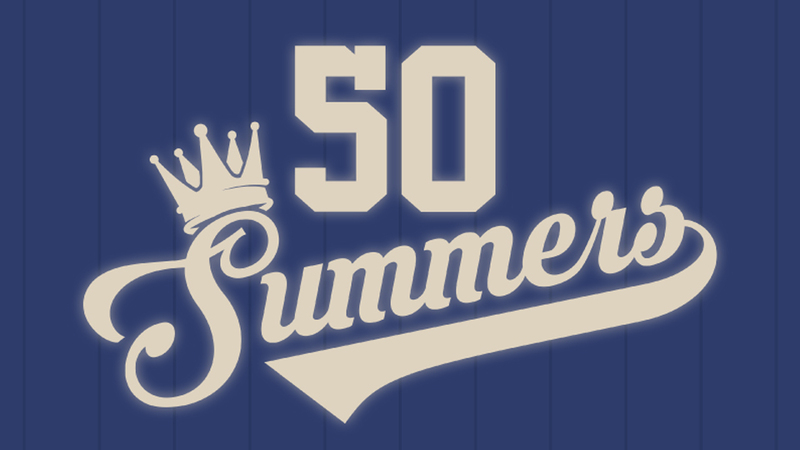 Hurrdat Films and the Omaha Storm Chasers are proud to announce the upcoming release of full-length documentary 50 Summers in celebration of the Storm Chasers' historic 50th season as the Minor League Baseball Triple-A affiliate of the Kansas City Royals. 50 Summers embeds with the front office staff of the Storm Chasers on Opening Day and includes conversations with players, broadcasters, and front office legends to provide an in-depth look into the business of MiLB in America over the last half-century. While the documentary priminently features the Storm Chasers, their record as the longest parent-club affiliation in Triple-A baseball, and how the team has managed to survive and thrive after relocation threats, new ownership, name changes, unique College World Series competition, and stadium issues, 50 Summers also pulls back the curtain on "Game Day" life for MiLB teams across the nation. it's a film that showcases how a small, passionate front office crew juggles the needs of a team, its sponsors, and most importantly its fans and community to provide one of America's most quintessential experiences- a day at the ballpark. "It's been incredible working on this film so far," said Dan Napoli, Director of Visual Storytelling at Hurrdat Films. "From the people we've been able to sit down with and the stories we've heard, you really get a sense of how important the Triple-A team has been to Omaha, and on a grander scale, how Minor League Baseball has been a huge part of the American experience." "We were humbled to partner with Hurrdat Films on a project for our 50th season," said Storm Chasers President and General Manager Martie Cordaro. "What is more exciting is this project grew into a story of the spirit and soul of what Minor League Baseball is and is larger than just the Storm Chasers organization. We are proud to be featured in this film showcasing fun and community." The premiere for 50 Summers is scheduled for October 2018, with more details to follow. Watch the trailer at 50summers.com and discover behind-the-scenes content on the documentary's Facebook, Twitter and Instagram pages.